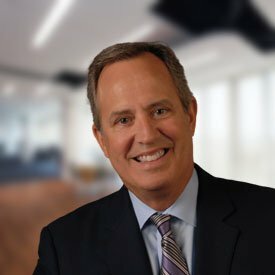 Doug Schmidt, a licensed Sales Xceleration Advisor, is a Principal with Chicago Sales Consultants, a company founded on the premise of assisting business owners in building their sales organizations into finely tuned revenue-generating machines. He believes that by focusing on the right sales strategy, efficient processes and disciplined execution, your business’s revenue can break through any barrier. Chicago Sales Consultants is a strong proponent of the sales solutions provided within the Sales Xceleration platform. Taking a $300M business with declining sales to growth within 18 months. Creating a new inside sales team to focus on specific market segments that delivered positive ROI in the first year. Developing sales compensation plans that drove revenue growth above historical results. Aligning goals and incentives between sales, national accounts, marketing and R&D to work collaboratively to meet market demands. Doug currently resides in the north suburbs of Chicago with his wife Jodi. They raised 3 sons, and are now blessed with 3 beautiful granddaughters. He enjoys quality time with family and friends, sports, and bird hunting. Check out Doug’s LinkedIn profile to learn more about his professional experience.